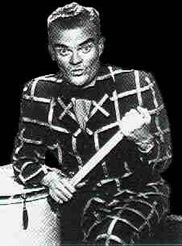 Spike was a percussionist and invented many wild instruments. He had one thing that was a kind of xylophone, except that instead of standard keys, every note was something different. One note was a car horn, one a brake drum, another a ceramic plate and another a gasoline can. It was actually tuned! He played classical music on it as well as jazz and popular tunes. 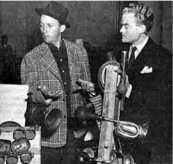 He had one of the first TV shows in the 50's where he would lead his band as he went across a table covered with noise makers (which included guns and real cannons! ), clanging and banging each object one by one. He'd finish up most pieces with a little riff banged out on a washboard, honk a few honks on a squeezy-ball horn and on the last beat he would throw the rubberized ends of his sticks to the ground and they would bounce back and he would catch them! I've got this one video from his show where the band starts off "The Saber Dance", and all hell breaks loose! 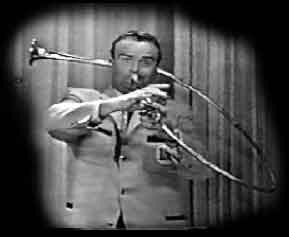 The trombone player keeps shoot the slide off of his trombone. The clarinette player plays standing on his head while someone else works the keys. The piano and bass players are both lying on their backs while they play. Then comes the refrain, soft and beautiful on three saxophones, but then they all switch hands so that each saxophonist is blowing his own horn while he's got one hand on another sax and the other hand on the other sax! Absolutely breathtaking musicianship and mayhem all rolled up in one show. And all this with midgets and giants running amuck all over the stage. His humor was usually corny, but his orchestrations were incredible and his timing impeccable! 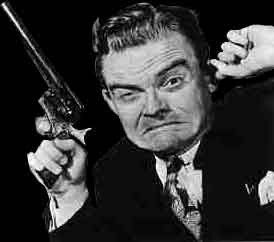 Nobody else comes close to Spike Jones for craziness! 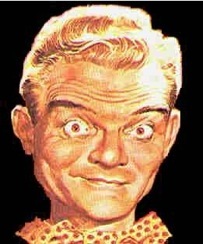 If you get the chance, check out Spike Jones! Dinner music for people who aren’t hungry. 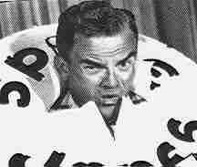 Spike Jones was a bandleader in the 40's and 50's. 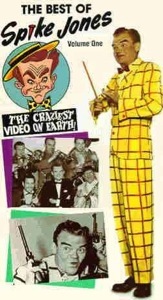 Spike Jones was chaos incarnate! 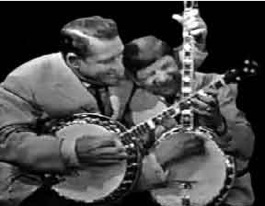 His band, The City Slickers, was made up of the best musicians of the time, and all of them a little (or a lot) strange.